Random And Some: "In the act of tearing something apart, you lose its meaning"
"In the act of tearing something apart, you lose its meaning"
Last year I read Outliers (2008) by Malcolm Gladwell. I absolutely loved how he tackled the topic of "success" and debunked the many myths around it. 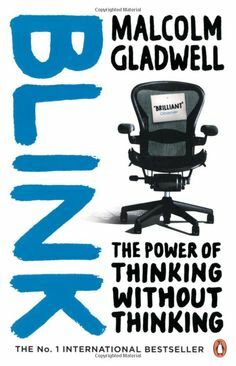 When I stumbled upon Blink (2005), Gladwell's second book, in Barcelona, I didn't hesitate to scoop it up. In the book he pits snap judgments against carefully planned and considered decisions. Blink's central thesis is that we can generally gauge what is really important from a very narrow period of experience. The term for this is "thin-slicing" and though it can be corrupted by likes, dislikes, prejudices, stereotypes and information overload, it allows experts to make better and quicker decisions with snap judgments than they do with volumes of analysis. Intuition is a powerful thing that can be cultivated and harnessed.